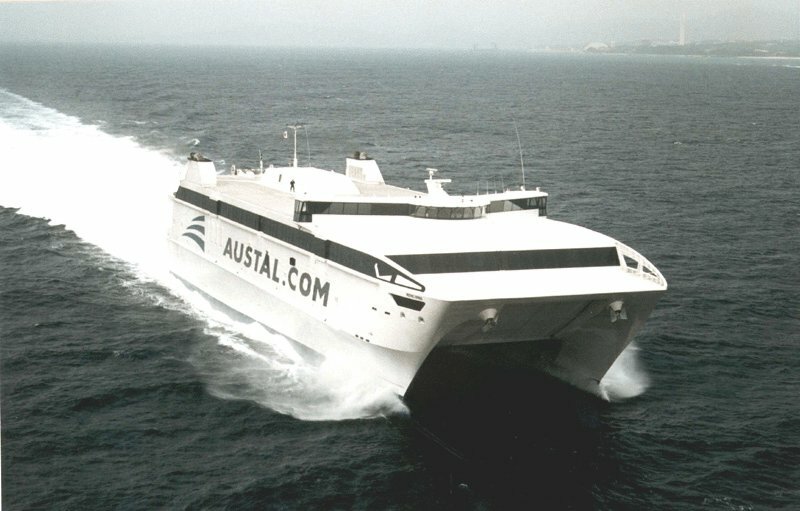 Range 1100nm / 33 kts. 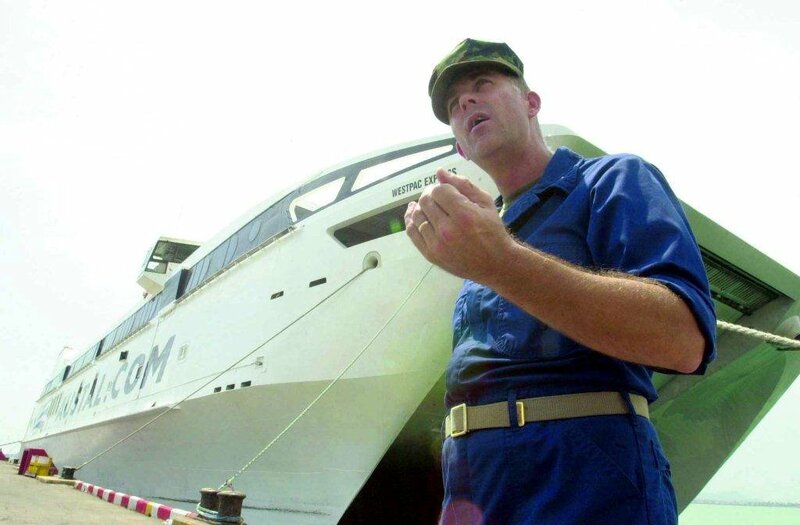 89k Chief Warrant Officer 5, Gene Rose, USMC, the Westpac Express (HSV-4676) Operations Officer, stands in front of Westpac Express as he explains the function of the ship. 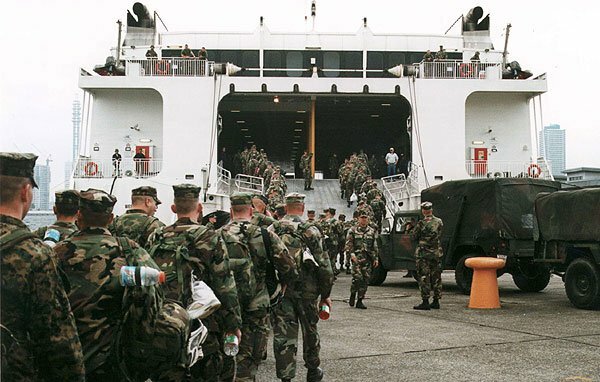 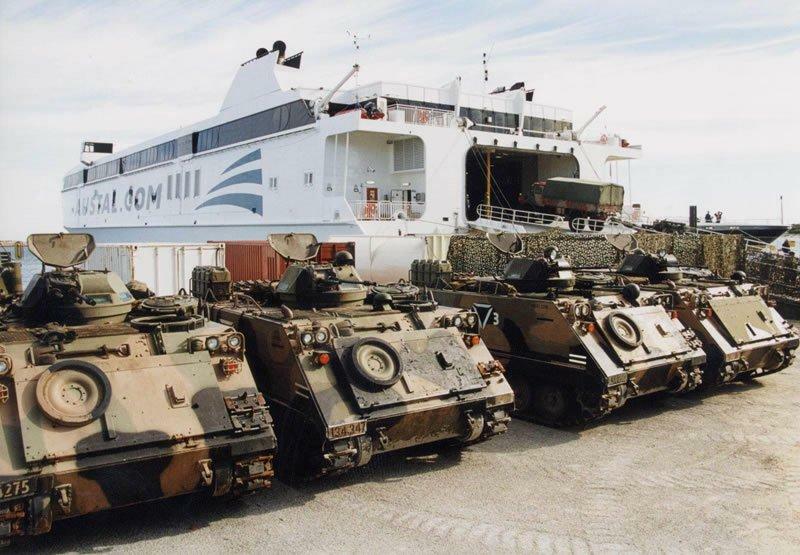 The MSC chartered high speed vessel arrived at Chuk Sarnet, Thailand, 23 April 2002, carrying 215 Marines and their equipment taking part in Cobra Gold 02. 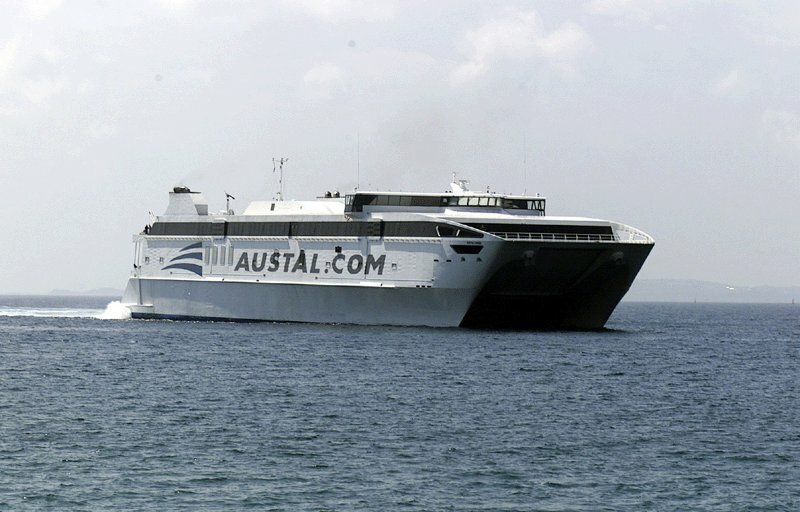 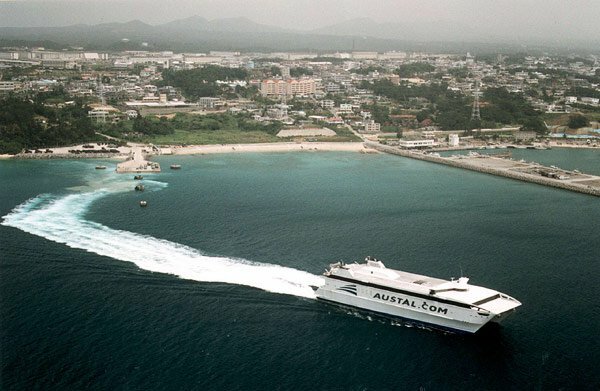 70k Westpac Express (HSV-4676) being offloaded at Chuk Samet, Sattahip, Thailand, 8 May 2002. 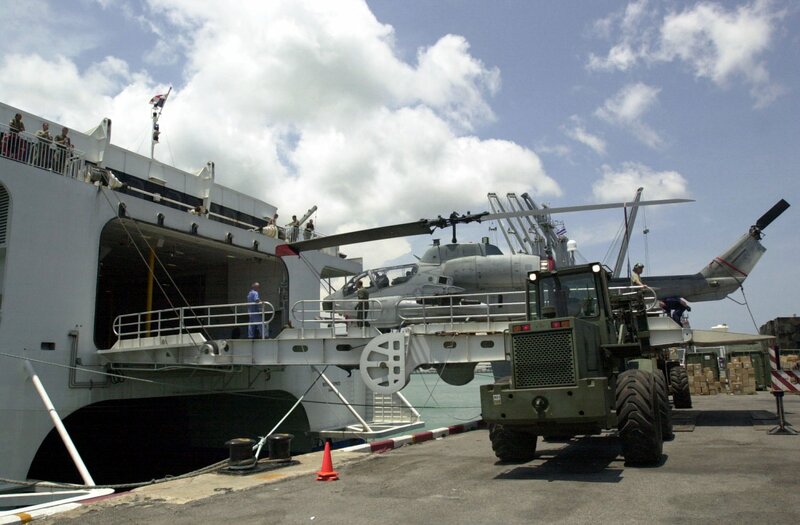 An AH-1W Cobra Attack Helicopter from Marine Helicopter Attack/Light Squadron Three Six Nine (HMA/L 369) is off-loaded from Westpac Express. 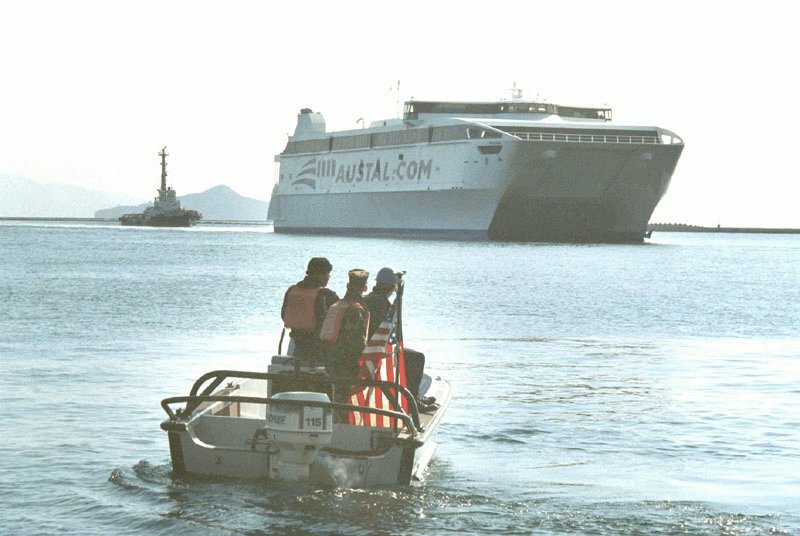 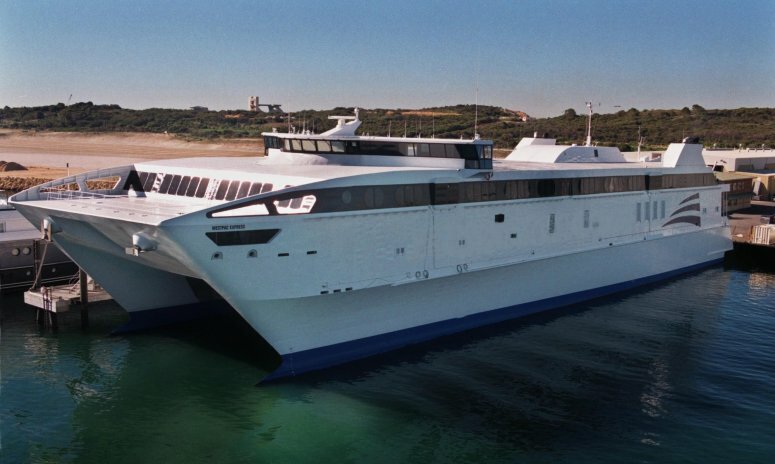 Westpac Express, a chartered Military Sealift Command ship that provided extensive logistics support to Exercise Cobra Gold 2002. 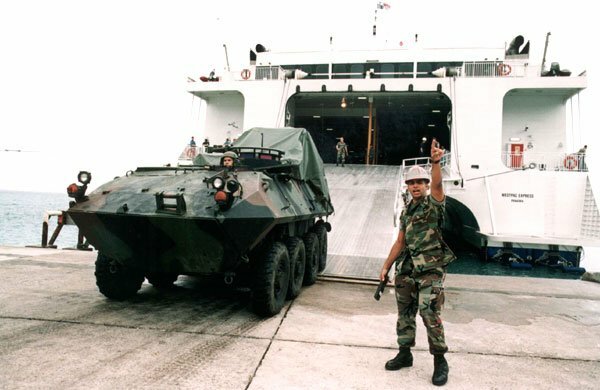 Cobra Gold 2002 is the 21st U.S. Pacific Command exercise conducted in Thailand demonstrating the ability of U.S. forces to deploy rapidly and conduct joint-combined operations with the Thai and Singapore Armed Forces. 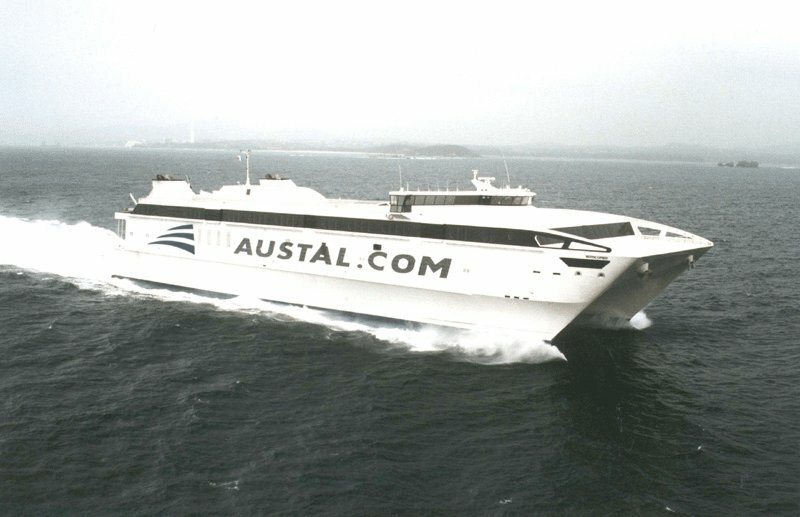 42k Westpac Express (HSV-4676) underway, date and location unknown.